"One of the best old school movies of all time"
I had to add this to my collection because it is still referenced and quoted today. What an epic movie! Michael J. 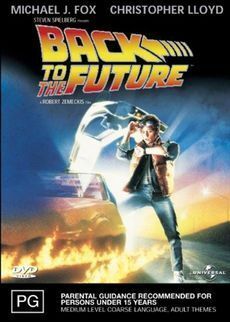 Fox stars as Marty McFly, a typical American teenager of the Eighties accidentally sent back to 1955 in a plutonium-powered DeLorean "time machine" invented by slightly mad scientist Christopher Lloyd. During his often hysterical, always amazing trip back in time, Marty must make certain his teenage parents-to-be, Crispin Glover and Lea Thompson, meet and fall in love - so he can get back to the future.